Rachael Ray TV Guide - American Paper Optics manufactured and folded over 2,400,000 FullColor 3D glasses for a special Halloween viewing of the Rachael Ray show. 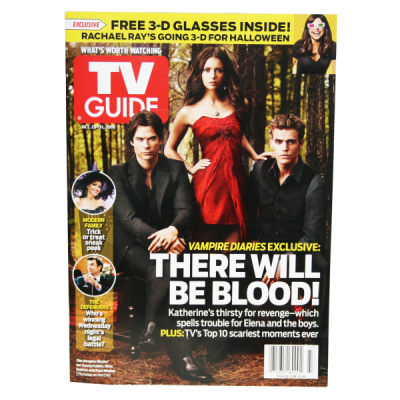 These 3D inserts will be distributed in the October 25-31, 2010 issue of TV Guide. 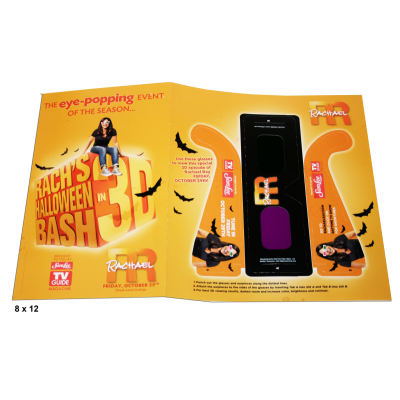 Rachael Ray TV Guide - American Paper Optics manufactured and folded over 2,400,000 FullColor 3D glasses for a special Halloween viewing of the Rachael Ray show. 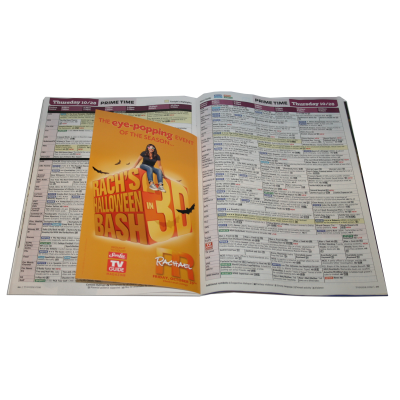 These 3D inserts were distributed in the October 25-31, 2010 issue of TV Guide.